Inverness serves courts in the Highlands, Islands and Moray – a large and diverse catchment area embracing rural and urban communities. We have a design capacity of 103, but currently average population of 117. The prison manages remand prisoners both adult and young persons, convicted adults serving up to 4 years and various other offenders who are awaiting to go to their prison of allocation or need to spend time with us as a management support. The offenders in this category tend to be serving long term sentences including life. We also have a small community integration unit (C.I.U.) which holds females at the point of their sentence where they are considered suitable to be introduced to community activities and employment as part of their progression towards eventual release. 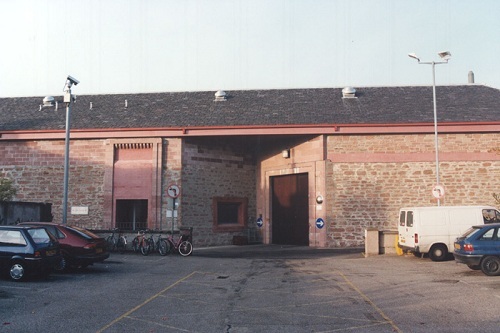 The present prison was opened in 1902, having relocated from nearby Inverness Castle to what was, at that time, the rural parish of Porterfield. There were 25 male and 10 female offenders in accommodation comprising of 49 cells. Throughout its subsequent history the prison has had a mixed population of men and women, convicted and untried offenders. The accommodation halls within the confines of the original wall have changed internally over the past 100 years, although their facades have remained the same. A number of extensions and extra buildings have been incrementally added to cope with rising and changing demands. Examples include the new Gate complex, the workshops and laundry. Other areas, such as facilities for healthcare and catering have been modernised. The original cells were barely furnished. Now they have in-cell sanitation, bunk-beds, fitments, electric power and TVs - reflecting modern standards of living. Prison labour was used to build the establishment. Subsequent employment included oakum-picking, sack sewing and mat-making, as well as maintenance of the prison estate and further building work. Physical drills and Bible classes punctuated the week. There is no mention in the records of 1903 of learning centres nor fitness centres such as those provided today. Programmes to address offending behaviour did not feature either, although perhaps the Chaplain (who "states that he spends upwards of 2 hours weekly in the prison") and Mrs Werner, the "Lady Visitor" took such a role upon themselves. The working environment for staff has also changed. The first Governor, John Nicol, had a house built for himself within the walls. Two houses were additionally erected for "married warders" and "female warders" had quarters provided too - supplied with drainage, gas, water and service pipes. Prison Officers now work an average of 37 hours a week and the concept of tied housing has been abandoned since the 1980s. Their job has evolved away from that of turnkey to actively engaging with offenders in pursuit of the Scottish Prison Service model of correctional excellence. There is a one-way system around the vicinity of the prison, and parking is very restricted - apart from official visitors, it requires payment by meter. Spaces are available in Argyle Terrace, or at the car park at the end of Argyle Street. Although the prison entrance is on Duffy Drive, this is a narrow, one-way street which is usually approached from the road which runs parallel to it - Old Edinburgh Road. It too is a one-way street (same north-south direction) and is accessed from Castle Street (predictably enough, the road which runs past Inverness Castle). On entering Old Edinburgh Road, turn first left into Mitchell Lane, then first right into Duffy Drive, or, if looking for a car space, continue to the end of Mitchell Lane and turn left into Argyle Terrace then right for Argyle Street. Parking around the prison is quite limited although possible, so consideration should be given to parking in town and walking the short distance to the prison. The prison is within relatively easy walking distance from the town centre - around 15 minutes from the bus or train stations. If you take the exit road from the bus station and turn left along Academy Street, you pass the train station and can access a taxi rank, if you would prefer (approximate cost is £5). Having walked along Academy Street, cross over and along Inglis Street (which is pedestrianised) and up Market Brae steps, which face you at the end. They lead to Argyle Street, at the end of which is the Redcliffe Hotel. From this juncture you will see the prison wall to your left - follow it round, that is, turn left and first right, into Mitchell's Lane. Then first left into Duffy Drive, where you will find the entrance to the prison. Offenders book their own visits and have the responsibility to inform their visitors of the day and time of the visit. Agents should book visits at least 24 hours in advance, where possible, by calling direct to 01463 229028. Information on legal visits by video link can be found below. It is important that you arrive promptly for your visit. You should allow extra time for unforeseen problems such as parking, public transport delays etc. If you believe you may be a running late please phone and let us know, we may still be a position to allow the visit to go ahead. We would ask visitors to arrive 15 mins prior to the visit time. We now have a visitor centre manned by Action for Children. The visitor centre is a drop-in point for families attending visits at HMP Inverness or who have family incarcerated within the Scottish Prison Service. Please do not turn up for a visit under the influence of alcohol or drugs as you will be denied entry and escorted from the establishment. You will be asked to secure bags, mobile phones, any other devices and the bulk of your money into the lockers provided. You will then proceed through to the visitors waiting area to wait being called forward for your visit. In the visit waiting room and the visits room there are vending machines for the purchase of light refreshments. You will be allocated a table to sit at where your visitor will then join you (the offender will sit in the single seat opposite). There is a small and limited play area for children within the visit room, but you must be aware of your parental responsibly in relation to the children’s safety and behaviours. Please note that all visitor areas are covered by CCTV and images recorded for security purposes. No items can be passed to offenders within the visit room. An Induction Loop hearing assistance facility is available. Property being handed in can only be accepted if accompanied by a property request sent out by the offender. Only items on the form can be accepted. Money for any SPS establishment and, also the privately-run prisons can be handed in at the gate. You can post money in to a offender for their PPC, however we would strongly recommend either recording/special delivery (costs incurred at the post office) when posting cash or you can post a cheque or postal order (again there is a cost incurred at the post office for the order) in. Both of these should be made payable to "HM Prison Inverness" and have the offenders name and prison number annotated on the reverse. Complaints / Comments can be made in writing to 'The Governor, HM Prison Inverness' at the above address. If we can address any issues immediately we will endeavour to do so. Please inform the Gate staff of any such issues.